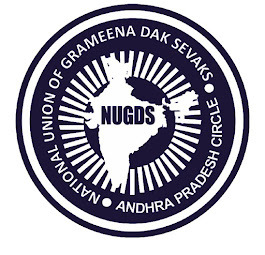 Directorate meeting with all unions General Secretaries regarding Indefinite Strike : Today at 4 PM & out come of the meeting. #Today_Meeting #with #ADG #regarding #Indefinite_Strike. In connection with the proposed indefnite strike discussion was held with Additional DG today.But was in vain. 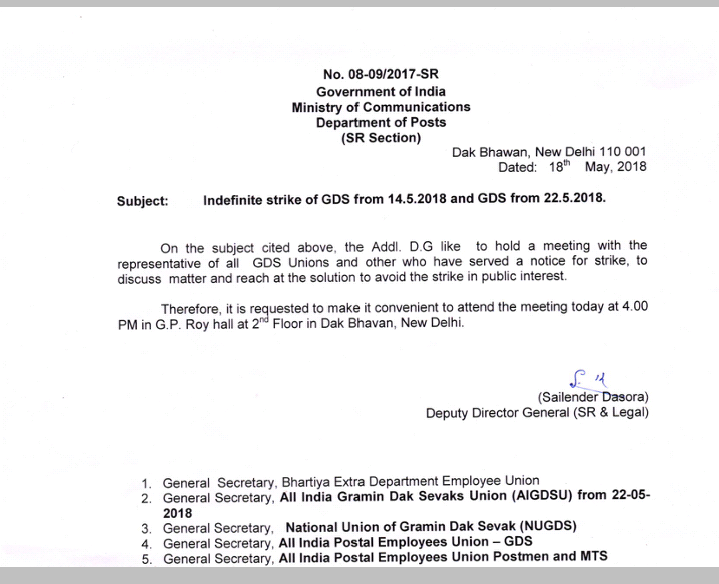 Probably discussion with Secretary,Department of Posts will be held on 21st May 2018. Request to all Circle secretaries and Divisional Secretaries to be ready for the strike as already planned.